Kristel Schneider is a photographer and workshop instructor. 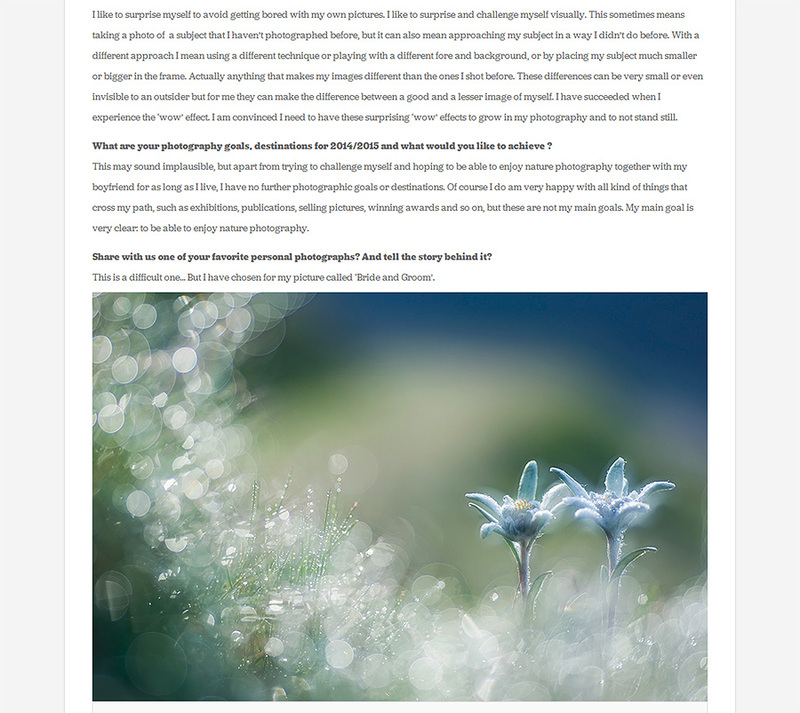 She is now living in France and has specialized in nature and landscape photography. On her website she is also active as an interviewer. Until now she has managed to interview several well known photographers from all over the world. She does so by thoroughly investigating the work of the photographers in question and by asking them profound questions. This time she has asked me and I feel very honored to be part of her series of interviews. Thank you Kristel! Take a look here for the entire interview. Sometimes you just have a little bit of luck. This was the case in the picture below. While making my composition I noticed something black crawling through my main subject, the Man orchid. I thought about changing my focus to another orchid but I didn’t. Then the black beetle showed itself in his way up to the top of the orchid. At that moment it was a matter of fast thinking and handling. 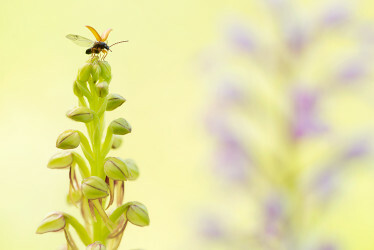 I know sometimes an insect crawls to the top of the flower to use it as a take-off into the big big world. While secretly hoping this would happen just now my heart was beating some extra times… Still I had to concentrate while changing my focus to the insect which was constantly moving. Most of the times I use manual focusing, and certainly now this was the right choice. Nevertheless it is so difficult to keep the insect sharp while it is going everywhere. Before I knew it he was on top of the orchid and within seconds it had flown away. Just as I wanted but of course it all happened too fast. I was convinced none of my pictures would be sharp. Certainly not the one where the beetle spread its wings before take-off. Can you image my happiness when I discovered this one? 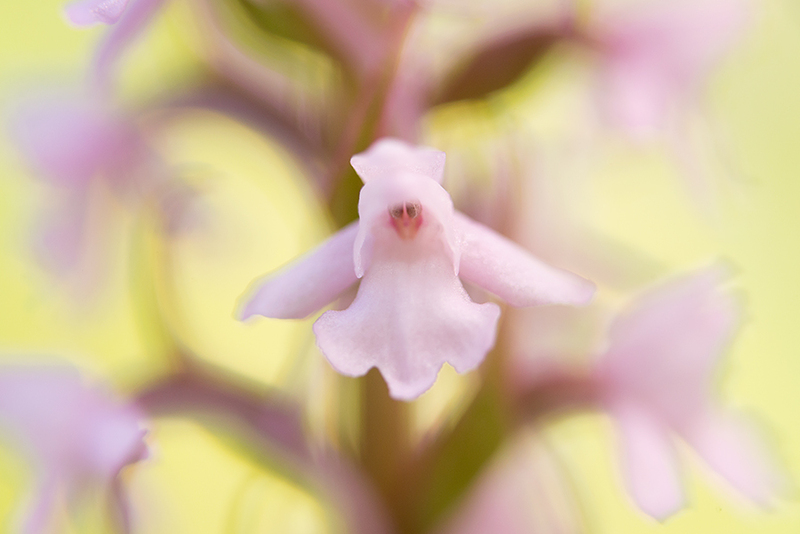 Although lately I have a slight preference for placing my subject in its environment by taking a little distance and thereby making it a little bit smaller in the entire picture, these orchids invited me to come close. And they are surely worth it. Of course some orchids are famous because of their recognizable human or animal figures, but to see this yourself is a whole new discovery. The man orchid is very inconspicuous when walking through the fields. Surely for someone as me who is still relatively inexperienced in the search for orchids. Even when this species was finally noticed by me it didn’t thrill me immediately. This changed while I looked through my viewfinder. 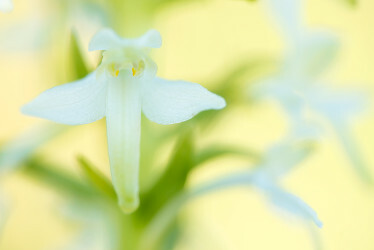 Again there was this enchantment when I discovered a human figure in this orchid. 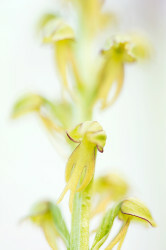 Finally I want to show you a close-up of the Lesser butterfly-orchid. This one I have already seen and photographed in the past. Now it invited me to come close again. While keeping the flower in the shadow the background is lit by the warm sunlight. The white flower turns into a soft blue shade because it’s in the shadow while the background is turning into a warm yellow tone because it’s in the sun. I like playing with these shade versus sunlight situations.